Fire consumes trees along U.S. highway 120 as the Rim Fire burns out of control Wednesday in Buck Meadows, Calif.
A wildfire outside Yosemite National Park more than tripled in size overnight and still threatens about 2,500 homes, hotels and camp buildings. Fire officials said the blaze burning in remote, steep terrain in Northern California had grown to more than 84 square miles and was only 2 percent contained on Thursday, down from 5 percent a day earlier. Members of the Tuolumne County Board of Supervisors gathered Wednesday night to write a resolution asking Gov. Jerry Brown for help, according to NBCBayArea.com. Despite the progress crews made Wednesday, the fire has gone from burning 16,000 acres on Wednesday to 54,000 acres Thursday morning -- making it almost twice the size of the city of San Francisco. The fire fight is in its sixth day against the aggressive flames that have burned through trees, brush and nine structures. Crews were forced to close parts of Highway 120, a main east-west route that leads into the national park, and other roads because of the active fire. About 1,300 fire crews are battling the blaze. 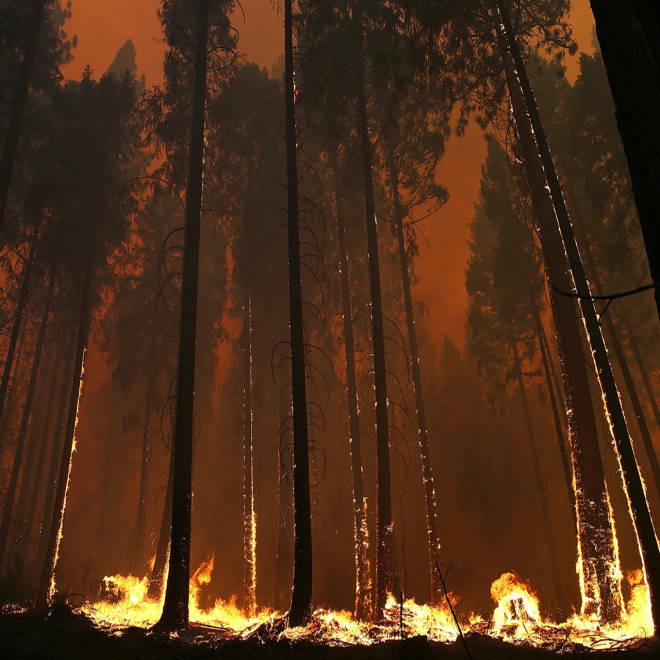 The U.S. Forest Service announced Wednesday that it is running out of funds to fight wildfires and is diverting $600 million from timber and recreation. It has already spent $967 million on the more than 32,000 wildfires this year.